Chinook is becoming a Midwest standard in hops as it takes on more tropical and pineapple aromas. Dual purpose hop that packs a decent amount of Alpha too. 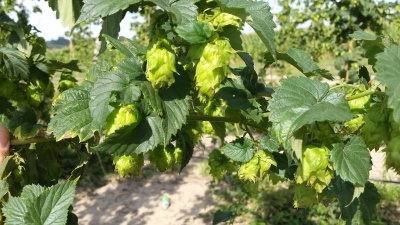 This Wye College bred English hop has not performed well in the US in most cases. However when grown in our little calcium rich Missouri River valley it excels with amazing growth and potency without sacraficing its gentle English aroma or exceptional smooth bittering capabilities. 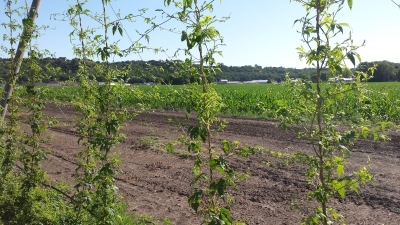 Our wild American 'protector' hop with high limonene content. That little oil helps ward off bugs from the interior of our hop yard. It can be a little wild on the Alpha acid content but has an amazing and unique sour lemon aroma for great dry hopping. We keep looking for more opportunities to fill out a catalog of aromas and bitters. That takes time and trials. 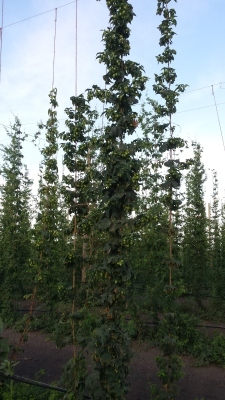 We love talking about hops so if there is something you'd like to see from us, drop us a line and let us know! 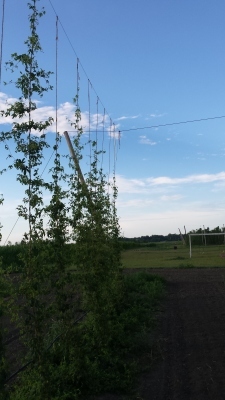 We aim to grow hops; quality hops and a lot of them. 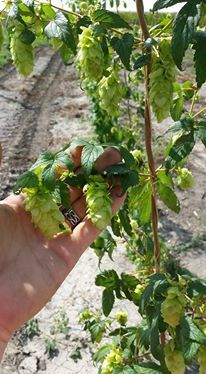 We love to see our hops used in breweries and we'd love to chat with you to see how we can make that happen. 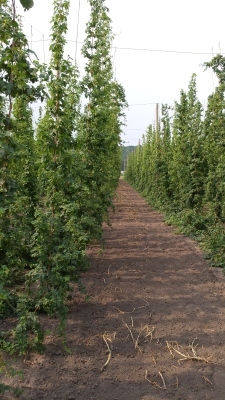 We offer a simple no minum low risk contract option to ensure smooth year round supply of our small family hops.